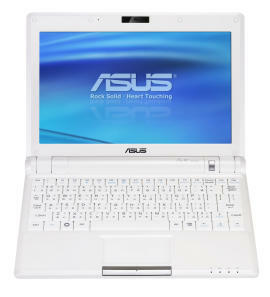 When Asus launched their Eee PC, they took the industry by storm. While the tiny notebook was too small to suitably replace most people’s laptops, the low price and portability made it tempting to people of all walks of life. Asus knows that they hit gold with the Eee PC, and will be announcing what can only be described as its big brother later today. The new notebook which is rumored to be called the Eee PC 900 will feature a much larger 8.9-inch screen, which will look absolutely gargantuan next to the 7-inch screen of the original. The other rumors peg this new machine at having 1GB of RAM and up to 12GB of storage space. Of course the biggest question on everyone’s mind is price. We’ll have to wait until the official announcement later today for that info.